What it is: A hydrating shine and moisture cream that doubles as a leave-in hair conditioner that promises to soften strands, add moisture and reduce frizz. The conditioning cream is formulated with sunflower seed to condition the hair shaft and lock in moisture; Vitamin E to condition and prevent damage; Provitamin B5 to add moisture and shine; and Sodium PCA (a “naturally occurring humectant”) to help strands absorb moisture. The leave-in treatment should be used on wet strands and can works on air-dried or heat-treated hair. What we say: A leave-in hair conditioner that promises to make strands instantly shiny and more hydrated? What’s not to love? Our tester, who has colour-treated and frizz-prone hair, was eager to test drive this thick cream after a particularly damaging visit to the salon (hello, balayage!). The lotion-like potion has a pleasant smell, and a small dollop goes a long way, evenly coating her medium-length hair. Before use, chemically lightened strands felt a tad dry and straw-like. 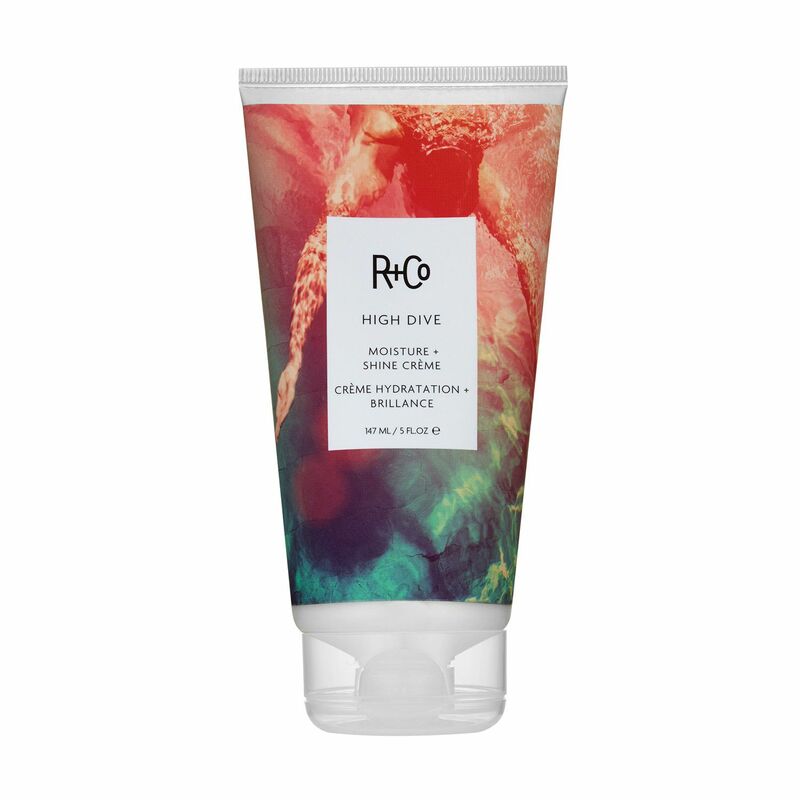 After one treatment with the High Dive cream — left on wet strands and allowed to air dry — our tester’s hair felt sleek and hydrated. It also looked super shiny. Those with extra-fine hair may find this cream a bit too heavy for their strands, but for those struggling with winter hair woes, this may just be the perfect fix.